Kfm 94.5 has been nominated in 11 Liberty Radio Awards 2019 categories. "We are elated by this acknowledgment from industry tastemakers. Receiving more nominations than any other commercial radio station in the Cape is a testament to our world-class approach to broadcasting and content," says Stephen Werner, programme manager at Kfm. "This, together with Kfm gaining the largest one-week cumulative audience of any station in the Cape according to the latest BRC RAMs, are key highlights for the station. Kfm 94.5 has always been focussed on creating a deep connection with audiences, and these nominations are evidence of our 360-degree approach to radio and storytelling, our incredible talent and our quest to make the brand come alive both on-air and off-air," adds Werner. 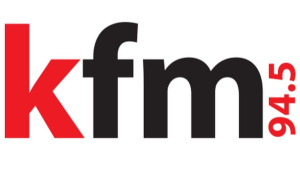 For more information, visit www.kfm.co.za. You can also follow on Facebook, Twitter or on Instagram.